Ledbury and District Civic Society exists to ensure Ledbury’s heritage is at the heart of our present and future. As a charitable trust we are a non-political organisation. 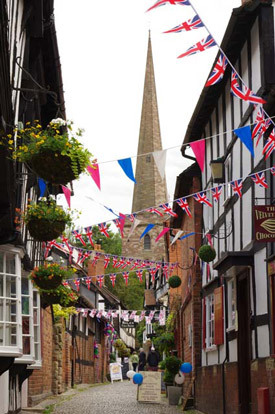 Our allegiances are to Ledbury and the vital part its heritage plays. If you would like to find out more about the Society, visit About the Society. You can also find out about our two buildings, Burgage Hall and Butcher Row House. Ledbury is a busy market town in rural Herefordshire. It has a wealth of buildings of architectural importance and a lively cultural life. To find out more, visit About Ledbury.